Terence Fisher was Hammer Film's premier director - and the dominant force responsible for the the studio's classic gothic thrillers, including The Curse of Frankenstein (1957) and The Horror of Dracula (1958). Fisher was born in February of 1904 in London. He entered the merchant marine in his teens, then moved on to a series of odd jobs. In the 1930s and 1940s, he worked as a film editor on roughly a dozen or so projects, before directing his first feature film in 1948, the drama A Song for Tomorrow. His first collaboration with Hammer came in the form of a series of film noir crime-dramas during the early '50s, including The Last Page (1952), as well as Mantrap and Four Sided Triangle (both in 1953). But it was Hammer's decision in 1957 to remake Mary Shelley's Frankenstein that put Fisher on the map. (Or is it the other way round? Did Fisher's consent to direct the project put Hammer on the map?) Either way, The Curse of Frankenstein proved a huge commercial success, and set the studio on the path of horror for the next two decades. It also proved a veritable showcase for Fisher's exceptional talents as a horror director. Photographed in vivid color (Fisher even had the leaves on trees painted a lurid red) and oozing with macabre setpieces and gothic mood aplenty, The Curse of Frankenstein demonstrated how comfortable Fisher worked within the genre. Curse spawned its own franchise at Hammer, boasting no less than six follow-ups. And it would be an omen of things to come, as the director would strike gold again the next year with the studio's retelling of Bram Stoker's essential Dracula. Then it was on to other retellings and adaptations for Fisher: a lush redux of Sir Arthur Conan Doyle's The Hound of the Baskervilles and a spirited remake of Karl Freund's 1932 classic The Mummy, both in 1959. For Fisher - not to mention Hammer - each subsequent outing would prove as successful as Curse of Frankenstein and Dracula, giving horror fans lopped limbs, misty moors, a bevy of lovely Hammer vixens, blood galore...and all of it filmed in loving technicolor. His creative partnership with Hammer continued into the 1960s, adding more spectacular entries to the studio's Frankenstein and Dracula franchises, such as The Brides of Dracula (1960) and Dracula: Prince of Darkness (1966). Given the success he experienced with reimagining the legends of Shelley's Monster and Stoker's Count, it's rather no surprise Fisher would excel at two more rethinkings during the 1960s. His Curse of the Werewolf (1961) is a superb variation on Universal's classic Wolf Man (1941), with star Oliver Reed delivering one of his best performances. Meanwhile, the director's Phantom of the Opera (1962) starring Herbert Lom is another adaptation of Gaston Leroux's seminal novel, this time done up in sumptuous Fisher style. Often buoyed by superior scripts (courtesy of Hammer scribe Jimmy Sangster), Fisher excelled equally as well when crafting horrors *not* based on previous cinematic terror classics. By way of example, his telling of antiquity's legend of Medusa - 1964's The Gorgon - remains one of his most engaging and thrilling rides. Thanks in part to another one-two punch from stars Peter Cushing and Christopher Lee, Gorgon is a wonderfully woven tale that only Hammer, at the top of their game, could weave. Fisher continued to work into the first half of the 1970s, directing the fitting last entry in the Frankenstein franchise, Frankenstein and the Monster from Hell (1974). Notable for its gory melodrama and superb performances, it would also be his last film for Hammer. 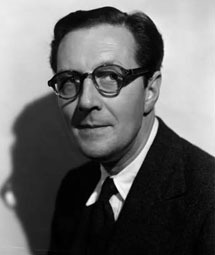 Terence Fisher died in June of 1980.